Generally, it’s wise to avoid carrying balances on your credit cards. Credit card balances quickly rack up interest charges, eating into your monthly personal budget and hampering your ability to save and invest. Over time, unpaid credit card balances could compel you to enroll in credit counseling, or even cause you to declare bankruptcy. However, it’s sometimes impossible to avoid carrying credit card balances. For instance, if your car breaks down and you have no other way to get to work, charging the repair to your credit card is better than losing your job – even if you know it’ll take some time to pay off the balance. Low APR credit cards make it easier to carry balances from month to month because they don’t accrue interest as rapidly, and their carried balances grow more slowly as a result. 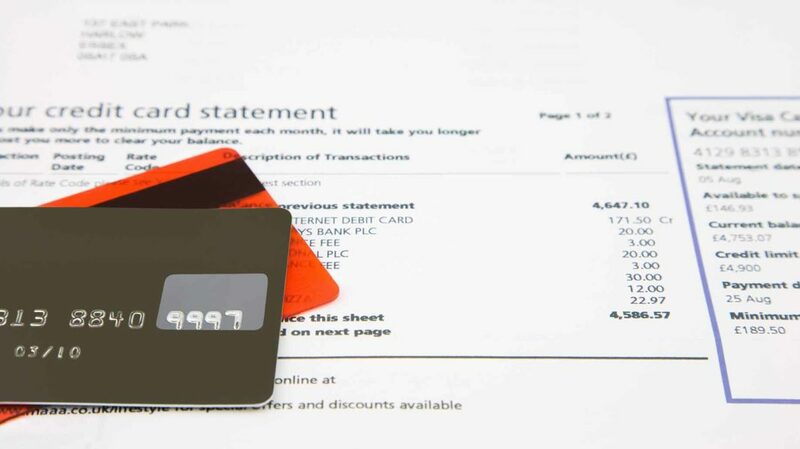 If you habitually carry balances from month to month, or want to do so in the future without paying through the nose, consider these low APR credit card options. Barclaycard Ring is not your typical credit card – and that’s generally a good thing. Dubbed “the first social credit card,” it’s built around an active user community that shares financial tips and advice among members. Ring has a very low purchase, balance transfer, and cash advance APR. It also lacks an annual fee and a foreign transaction fee. After the first 45 days, there’s no balance transfer fee either. A 15-month 0% APR balance transfer promotion further sweetens the pot. Introductory APR: 0% APR on balance transfers for 15 months from account opening. Qualifying transfers must be made within 45 days of account opening. There is no corresponding purchase promotion. APR: Purchase, balance transfer, and cash advance APR is 14.24% variable. Fees: There’s no annual fee or foreign transaction fees. Cash advances cost a flat $3, regardless of size. During the promotional period, balance transfers cost the greater of $5 or 2%. Thereafter, there is no balance transfer fee. Late and returned payments cost up to $27. See terms and conditions for a complete list of rates and fees. Other Perks: You get complementary access to your FICO score through your online account. See our Barclaycard Ring Mastercard Review for more information. Find out how you can apply for this card here. Although it doesn’t have the lowest APR around, Discover it Cash Back does have a nice cash back rewards program. All purchases earn 1% cash back, with no spending caps or restrictions. Purchases in quarterly rotating spending categories (such as department store or gas station purchases) earn 5% cash back, up to a $1,500 quarterly limit across all active categories. Quarters begin January 1st, April 1st, July 1st, and October 1st. You can redeem your cash in any amount as a statement credit, bank account deposit, check, or Amazon.com purchase credit. Plus, Discover doubles all cash back earned in the first year of card membership. In addition to the cash back rewards program, the main perks of the Discover it Cash Back card include a solid 0% introductory APR period, no penalty APR, no annual fee, and a free FICO credit score with card membership. Drawbacks include costly cash advances. Sign-up Bonus: Aside from the double cash back offer in your first year, there’s no sign-up bonus. APR: After the introductory APR period ends, purchase and balance transfer APR is 13.74% to 24.74%, depending on your creditworthiness and prevailing interest rates. There’s no penalty APR. Key Fees: There’s no annual fee or foreign transaction fees. Balance transfers cost a flat 3% of the total amount transferred. The cash advance fee is the greater of $10 or 5% of the advanced amount. Other Perks: Discover’s Freeze It feature lets you turn off many account features, including the ability to make new purchases and cash advances, at the click of a button. The Discover it card also comes with a free FICO credit score. Also, at the end of your first year as a cardholder, Discover automatically doubles all the cash back you earned over the previous 12 months. See our Discover it Cash Back Review for more information. Discover it Chrome has the same purchase and balance transfer APR as the regular Discover it Cash Back card, plus minimal fees and a nice 0% introductory APR period. One drawback is the penalty APR, which can range to nearly 30%. Like the regular Discover it Cash Back card, Discover it Chrome has a nice cash back rewards program that benefits cardholders who pay their balances in full each cycle. Dining and gas purchases earn 2% cash back, up to $1,000 per quarter, and an unlimited 1% after reaching the spending cap. All other purchases also earn an unlimited 1%. You can redeem your cash back in any amount, and Discover automatically doubles all cash back earned in the first year. Sign-up Bonus: There’s no sign-up bonus, aside from the first-year double cash back deal. APR: After the introductory period, purchase and balance transfer APR ranges between 13.74% and 24.74%, variable depending on creditworthiness and prevailing interest rates. Other Perks: There’s no late fee on your first late payment. This card also comes with the Freeze It feature and free FICO credit score. As with the flagship Discover it, Discover it Chrome automatically doubles all the cash back you earn during your first year. The PenFed Promise Card boasts a low regular APR and no fees of any kind – no late fees, annual fees, balance transfer fees, or cash advance fees. Although there’s no introductory purchase APR, there’s a low introductory balance transfer rate. And there’s no penalty APR, so you don’t have to worry about what might happen if you make a late payment. However, the lack of an introductory purchase APR is a significant drawback. Sign-up Bonus: When you spend at least $1,500 in your first 90 days of card membership, you get a $100 statement credit. Introductory APR: There’s no regular introductory APR. The introductory balance transfer APR is 4.99% for 12 months. APR: Purchase, balance transfer, and cash advance APR is a variable 9.74% to 17.99%, variable depending on your creditworthiness and prevailing interest rates. Fees: There aren’t any fees, period. Other Perks: The PenFed Promise Visa Card is one of the few low APR credit cards with a sign-up bonus. See our PenFed Promise Review for more information. Find out how you can apply for this card here. The Citi Diamond Preferred Card has the same great introductory APR period as the Citi Simplicity Card, plus a slightly better regular APR for purchases and balance transfers. However, there is a penalty APR, and fees are a bit higher. One of the biggest benefits of the Citi Diamond Preferred Card is its slew of VIP perks, including exclusive deals at major retailers and personalized concierge service for travel and event booking. Introductory APR: 0% on purchases and balance transfers for 21 months. APR: After the introductory period, the variable purchase and balance transfer APR ranges from 14.24% to 24.24%, variable depending on your creditworthiness and prevailing rates. Cash advance APR is 26.24%, also variable. Penalty APR ranges up to 29.99%. Fees: There’s no annual fee. Balance transfers cost the greater of $5 or 3% of the transferred amount. Cash advances cost the greater of $10 or 5%. Foreign transactions run 3% of the total amount. Returned and late payments cost up to $39. Other Perks: You get free, 24/7 access to personal concierges authorized to book hotel rooms, flights, concert tickets, and other engagements on your behalf. Through Citi Easy Deals, you’re privy to exclusive discounts and deals at well-known retailers, such as CVS and Gap. See our Citi Diamond Preferred Review for more information. With a super-long 0% introductory APR for purchases and balance transfers, Citi Simplicity Card is great for transferring high-interest balances from other credit cards. Fees are reasonable here as well – there’s no annual fee or late payment fee. And there’s no penalty APR, ever. Introductory APR: 0% APR on balance transfers for 21 months from date of first transfer and 0% APR on purchases for 12 months from account opening. Eligible balance transfers must be completed within 4 months of account opening. Following the introductory periods, the regular APR rises to range between 16.24% and 26.24%, depending on your creditworthiness. Fees: There’s no annual fee or late fee. Balance transfers cost the greater of $5 or 5% of the transferred amount. Foreign transactions run 3% of the total amount. Other Perks: When you call in for phone support, you can say “representative” at any time to skip the automated menu. Other value-added features include $0 liability for unauthorized charges and the ability to choose your payment due date. See our Citi Simplicity Review for more information. The Wells Fargo Platinum Visa® Credit Card has a very long 0% introductory APR on both purchases and balance transfers, making it a great balance transfer candidate and a suitable aid for new cardholders planning large purchases. There’s no penalty APR or annual fee, either. A higher-than-average cash advance APR is a key drawback. Introductory APR: 0% purchase and balance transfer APR for 18 months. APR: After the introductory period, the variable purchase and balance transfer APR is 13.74% to 27.24% variable, depending on your creditworthiness and prevailing interest rates. The cash advance APR ranges from 26.24% to 28.24%, with no introductory period. There’s no penalty APR. Fees: There’s no annual fee. Balance transfers cost the greater of $5 or 3% of the transferred amount for the first 120 days, then the greater of $5 or 5% thereafter. Cash advances always cost the greater of $10 or 5%. Foreign transactions cost 3% of the total transaction amount. Late and returned payments cost up to $37. Other Perks: Value-added perks include on-demand access to your FICO® score through Wells Fargo Online; a cell phone protection plan that provides up to $600 in reimbursement per claim for stolen or damaged phones, less a $25 deductible; and free digital budgeting tools. See our Wells Fargo Platinum Visa® Credit Card Review for more information. Learn more about this card and out how you can apply for this card here. Most of the cards on this list have variable APRs that fall within a fairly wide range. When you open a new card account, the issuer assigns your APR at a point within that range, based on your creditworthiness and prevailing interest rates at the time. If you have an excellent credit score and unblemished credit history, your rate is likely to be at the lower end of the range. If your credit isn’t stellar, expect a higher rate. As time goes on, your variable APR rises or falls in response to fluctuations in prevailing interest rates and changes in your creditworthiness. That said, the low-APR credit card scene demonstrates that life really is full of compromises and trade-offs. In exchange for low interest rates and, in many cases, minimal fees, these credit cards dial back the rewards. Most don’t have any credit card rewards at all, though a few – notably Discover it and Discover it Chrome – break the mold. If you prefer credit cards that actually pay you to spend money, check out our cash back and travel rewards credit card lists. Just remember, rewards credit cards are most effective when you pay off your balance in full each month. Carrying a balance for more than a month or two can completely offset the value of your rewards, and could actually end up costing you money. What’s your favorite low APR credit card?